None of them is overweight. Imagine if Americans their 40s and 50s would do something like that... our healthcare cost would be much lower. Very nice. More fun than a treadmill. I'll start tomorrow. They're cool but I like the video with the school kids and principle better! I want to see the Chinese Army doing this! The dude in burgundy sneekers, 2nd from right gets my vote. He's very light on his feet. He's keeping up with the young ppl. They don't look like they are has ng fun...just going thru the motions. 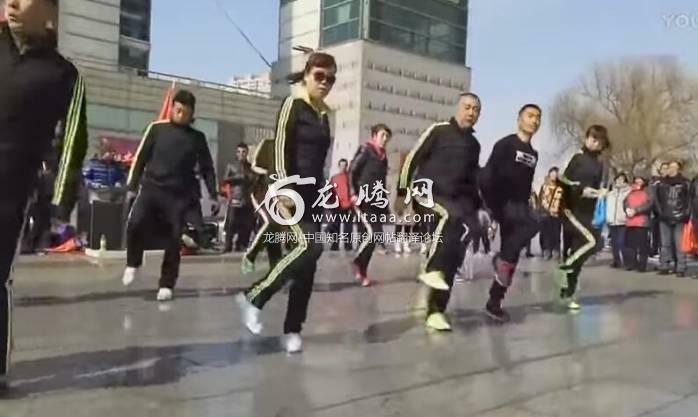 Haha, it's only one of square dances for fitness in China. The old men begin dancing in the squares after their dinners. They must be really fit! Going to give it a try! New style of gymnastics for couples. These people are invincible; wow oh wow; I would be so proud to do this. So going to learn how to shuffle like this! Love the dance routine might try this out in the dance floor of a club! it's very shiny, cause they glide all the time. @Vincent Vermeer how many pairs of shoes have worn out I wonder? the dancing in together is good communist traditional culture,bring your good mood and healthy lives,but sometimes ,the young dont like it ,because of noises and disturb their peaceful break time . This is way better than the Macarena and the stupid Gangnam style. Worry high healthcare costs? Someone needs to recreate it with the American version. LOL. You are a genius.